Equity release policies are a series of schemes designed to free money from the ownership of a house in order to spend it on repairs or renovations, weddings, holidays, the clearance of personal debts, or, in many cases, used by retired individuals to provide them with a reliable source of income. However, equity release schemes are a serious financial commitment and should be considered very carefully. Forms of equity release lifetime mortgages available vary greatly, from lump-sum loans, drawdown packages, interest repayment loans and enhanced lifetime mortgages covering those with lower than average life expectancies due to illness. 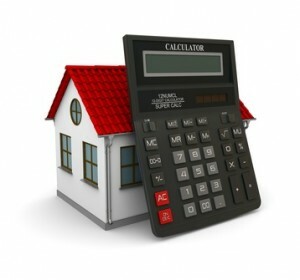 The range can be complicated, which means it is usually recommended to compare equity release schemes before deciding. Professional advisors will charge a fee for their services, whilst good quality online calculators are available to compare the range of equity release schemes and their features. These calculators can be used to decide between plans of a similar nature by assessing their direct correlation to the individual’s circumstances. Equity release schemes are anticipated as being a lifetime commitment, which means that should a later decision be taken to move house or to use the equity again in another way, there will be restrictions on what actions are possible. Debt will accrue over the duration of the scheme, and, with interest rates so unpredictable, there is a chance that the ultimate cost will be several times the value of the original advance. The lifetime mortgage is secured against the value of the home, being repaid when the named owner passes away or moves into a long term care establishment. Typically offered with a fixed rate of interest, in contrast to the way conventional mortgages are structured, interest on lifetime mortgages is charged on a sum of money which is increasing, therefore growing the debt. With the lifetime mortgage as equity release, there are no repayments, thus interest charges are added to the debt amount on a regular basis. It is impossible for the overall scale of the debt to exceed the value of the property, due to guarantees from members of the Equity Release Council who have agreed that this cannot happen. Many equity release providers have specific criteria for their customers, including minimum ages, and the percentage of equity in the property which can be released will be dependent on the client’s age. There are also a wide range of minimum loan amounts, and minimum property value required to be considered for equity release.